Day 14: What did you want to be when you grew up? What are you now? Growing up, I had ambitions to be many things. Of those, some were more entertaining than others. [First] I wanted to be a boy. I idolized my big brother and was a rough-and-tumble, always messy and dirty, little chub-a-lub. I remember repeatedly asking my Daddio and Bubba, "Why can't I be a skin?" [Second] After I started realizing I just wasn't going to be a boy. I shared Sar's yearning for being Ariel from The Little Mermaid. However, I didn't get all cute and dressed up like Ariel. 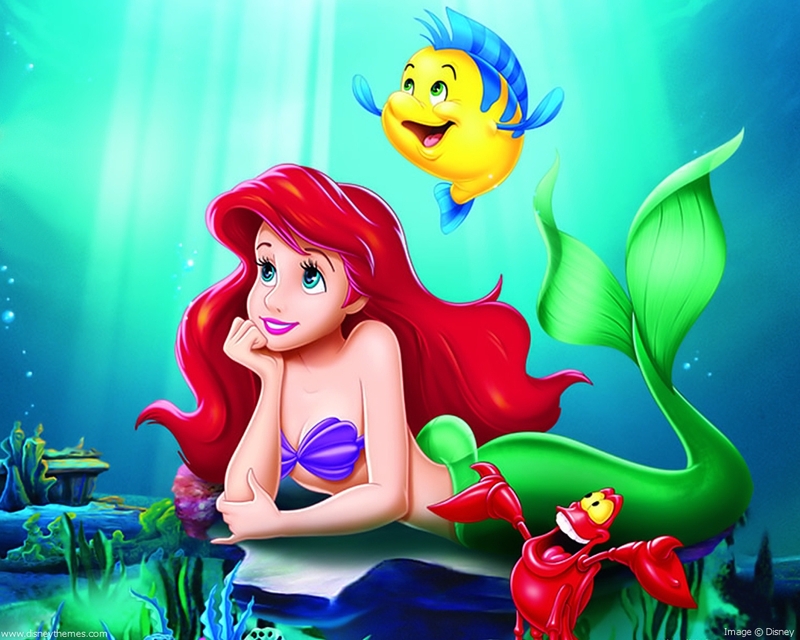 My longing to be a beautiful red-headed mermaid went as far as singing "Part of Your World" in the bathtub, and I would push myself up on the side (like Ariel did on the rock). Then I would ask Mom why I couldn't sing as good as Ariel. [Third] I got over being a Disney Princess quickly and moved onto wanting to be a comedian. I've mentioned before that my "jokes" were so bad, that my parents bought me a joke book. I'm not sure if that was successful in helping that bad-joke-telling. I wouldn't be surprised if I still thought I was funny, despite the bad jokes. It is still my dream to appear on SNL. Today, I lead a super exciting life as a Logistician. Most of the time when I say, "Logistician." People respond with, "A what?" I'm basically a logistics specialist. But it is not special. I deal primarily in configuration data management. I won't go into the boring details of what we manage the configuration of, but I work for the US Navy and support our fleet everyday. Did I ever think or dream that this would be my job/career? Will it do for now? I'm still holding onto my SNL dream. hey hey! passing on a little bloggy award on my latest post- love any excuse to share 7 random facts about myself, and you can too! ha!